Yolo County Children’s and Families Commission (First 5 Yolo) has identified, funded and supported programs with demonstrable positive impacts on children’s health, safety, and school readiness. Our strong strategic partnerships have allowed us to leverage collective resources to better meet the challenges associated with keeping children healthy and ready to learn. Jim Provenza has been a member of the Yolo County Board of Supervisors since 2008. He represents Davis, El Macero, Willowbank and the Yolo Wildlife Area. He was previously a member of the Davis School Board where he advocated for special education, English learner programs, and equal education for disadvantaged students. For the past 22 years Jim has worked as a special assistant district attorney for the Los Angeles County District Attorney’s Office. He represents the office at the state capitol. He has been responsible for legislation protecting children from domestic violence and child abuse and has specialized in developing laws to prevent sexual abuse of children. Jim previously worked as chief counsel of the California Assembly Committee on Public Safety and as counsel to the California Senate Judiciary Committee. After Jim graduated from UC Davis School of Law in 1980, he spent 8 years at legal aid in Santa Barbara and Sacramento. He represented women and children in child abuse, domestic violence, housing and government benefit cases. He also handled civil rights cases, including the representation of victims of pregnancy discrimination. Jim has 2 children and 2 grandchildren. He believes that nothing is more important than assuring that all children grow up in a safe, supportive, and nurturing environment. Francisco Castillo is a dedicated public servant who has spent more than a decade working on behalf of Californians, including children, students, and low-income communities. Francisco began his career helping young people prepare for successful careers by working as a job developer at the non-profit Mission Language & Vocational School and as a college and career counselor at LULAC National Education Services in San Francisco. Between 1998 – 2000, he served as Chair of the San Francisco Youth Commission, where he advised the Mayor and Board of Supervisors on issues related to children and youth. He broadened his commitment to public service by joining the administration of then-Mayor Gavin Newsom in 2004. Since then, he has served in senior roles for First Lady Maria Shriver, in the Office of California Governor Arnold Schwarzenegger, and again for Gavin Newsom in the Lieutenant Governor’s Office. In 2012, Francisco reaffirmed his commitment to ensuring that every kid, no matter his or her background, has access to a quality education, by joining the national leadership team of StudentsFirst, an education reform organization working to support great teachers and empower parents. Francisco currently serves as Director of Corporate Relations & Media for Union Pacific Railroad. He resides in West Sacramento with his wife and two children, ages 4 and 7. Sally Brown has been a Senior Research Associate with Philliber Research & Evaluation since 1995. While Philliber is based in New York, Sally works from her home office in Winters. She has both an MSW and Ph.D. from the School of Social Welfare at the University of California, Berkeley. Sally has thirty years of experience as a program evaluator both in University and private sector settings. Sally primarily evaluates social service programs in community-based agencies, health care settings, and schools. She has been involved in evaluation efforts of First 5 since nearly its inception. Sally worked as a subcontractor to SRI, International for the First 5 Statewide Evaluation for five years (2002-2007). 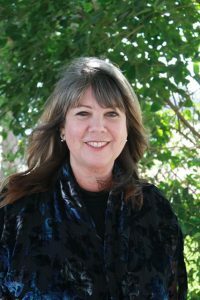 Since then, she and her team have been awarded contracts, conducted outcomes evaluations, and provided evaluation technical assistance for many First 5 agencies (including Alameda, Sacramento, as well as the 11 rural counties in the Northeast Region), working closely with First 5 commissioners, executive directors, staff, and grantee agencies. Sally is very active with organizations in Winters and Yolo County. She is the fundraising chair for the Winters Friends of the Library and has been the coordinator of their annual Big Day of Giving Campaigns. She also serves on the newly forming Yolo County Library Foundation and is the Chair of the Yolo County Probation Juvenile Review Board. Sally and her husband Jeff have lived in Winters for the past 21 years. Jennifer Rexroad worked and volunteered with at risk youth in Los Angeles, where she was a classroom teacher, before moving to the Sacramento region. She was the Technology Coordinator for Natomas Charter School and a member of the Junior League of Sacramento where she volunteered in programs targeting women and youth. Rexroad holds a degree in Art History from UCLA and a MA in Educational Technology from Pepperdine. She is a founder of Davis Mothers of Preschoolers (MOPS). She became an advocate for victims of human trafficking and eventually an advocate for children in foster care. After becoming a foster parent, she founded California Alliance of Caregivers in 2016 to represent the voices of foster & kinship parents to promote the well-being of children in foster care. She and her husband are licensed Yolo County Foster Parents and are currently raising their 2 children in Woodland. A writer who specializes in political and non-profit communication, Heidy was the Founding President of Friends of the Yolo Crisis Nursery. She resumed that role in 2013 and recently led the successful effort to save the nursery from closure. As a mother, she has been active in K-12 educational policymaking including local parcel tax campaigns and homework policy reforms. A member of the Governor’s Office of Emergency Services State Advisory Committee on Sexual Assault Victim Services, former Press Secretary for the State Senate, and former board member/direct services volunteer for WEAVE (Women Escaping a Violent Environment), she has over 25 years of experience serving public policy needs to combat sexual assault, domestic violence, and child abuse/neglect. In her spare time, Heidy is a competitive ballroom dancer. Garth Lewis serves as the Yolo County Superintendent of Schools. He was elected to this position in 2018. 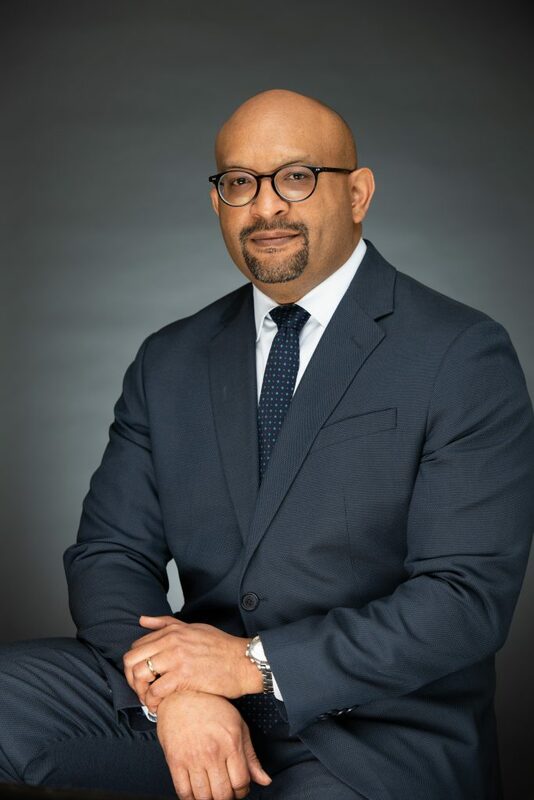 Over the course of his 23 year career in K-12 education, Superintendent Lewis has served as a para-educator, teacher, site and district administrator, and Assistant Superintendent of Instructional Services and Equity at the Yolo County Office of Education. He also serves as a member of the Board of Directors for the California Association for Supervision and Curriculum Development (CASCD). As County Superintendent, Mr. Lewis supports and provides leadership to approximately 300 employees, which he is certain are the agency’s most valuable resources. Additionally, his collaborative work supports each of the five school districts and other key agencies that serve children, youth, and families throughout Yolo County. He believes access to a high quality public education is a significant factor in improving life-outcomes for all children, particularly those experiencing poverty. Mr. Lewis earned Bachelor’s and Master’s degrees from California State University, Sacramento. He holds a Multiple-subjects Teaching Credential and a K-12 Administrative Services Credential. His wife, Maria, is a public school teacher in Yolo County and both of their children attend public schools in Yolo County. Jennie Pettet began her career in child welfare over 32 years ago in San Diego County working with a clinical team serving children, youth and families in the San Diego County Child Sexual Abuse Treatment Program. Over the span of her career, Jennie has served families as a line social worker, forensic interviewer, supervisor, manager, deputy director, assistant director and now is the Child, Youth and Family Branch Director for Yolo County Health and Human Services. In addition to her service in San Diego and Riverside Counties, Jennie has served as a child welfare consultant for the Capacity Building Center for States and with the County Welfare Director Association. In her current role, Jennie is responsible for oversight and leadership of Yolo County’s child welfare, public health, and children’s mental health programs. Jennie is dedicated to strengthening safety, permanency and wellbeing for all children and youth in Yolo County. With a background in providing technical assistance to states in improving child welfare outcomes, Jennie is passionate about increasing evidence based programs to those families served in the Child, Youth and Family Branch, and strives to build community capacity for delivering strong, trauma informed, culturally relevant services to families in the community. Nichole understands from personal experience the importance of family support programs funded by First 5 Yolo and the challenges faced by parents of special needs children. She grew up in a home struggling with financial survival and is the mother of a child who receives speech therapy, has a paraeducator at his side, and an individualized education plan (IEP) at his elementary school. Following high school Nichole attended Woodland Community College, then left to care for her ailing mother while holding down two jobs to make ends meet. After her mother’s death, Nichole became guardian for her younger sister. Nichole faced even more challenges as a young child when she was seriously burned in an accident and received treatment at the UC Davis Burn Center. Later, when she was 9 years old the Fire Fighters Burn Institute offered her a chance to attend its Kids Camp. She attended every year until she was 18 years old; became a “counselor in training” until she was 21; and then became a camp counselor for the next five years. Now Nichole volunteers with the Fire Fighters Burn Institute in Sacramento. Nichole is honored to serve as a First 5 Yolo commissioner because she is passionate about helping low-income at risk children and families get the services they need to survive and thrive; with no judgment about why they need help. Nichole resides in Davis with her husband and three children.